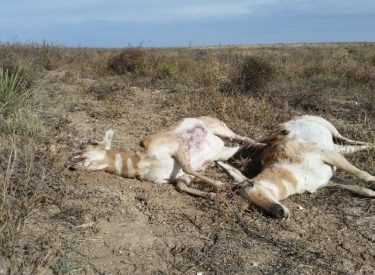 MORTON COUNTY, Kan. (KWCH) Kansas Wildlife, Parks & Tourism – Game Wardens need your help to find the people who poached two antelope in the southwest part of the state. The state agency says the incident occurred on October 21, 2017 in Morton County. Wardens responded to a report of dead and possibly poached antelope on Road 16 in the county. Evidence collected at the scene indicates that both antelope were shot with a rifle outside of a open rifle season and left in the field to rot. “Evidence also suggested that the suspects had little or no regard to the freshly drilled winter wheat field and drove through the field to kill the antelope,” said the game wardens in a Facebook post. If you have any information about the killing of antelope, you are asked to call Operation Game Thief at 1-877-426-3843.